This week and next are going to be some of the most hectic times so far this year…. Been advancing two festivals, mapping and planning for a third major gig, working on getting the new gear up to spec, and several other things. Buzzfest 29 starts loading in Friday. Show Saturday. Sunday through Wednesday morning is the Rice University 100th anniversary event. Then leave out Wednesday for Austin to load in my stage for the ACL festival. I’ll be on the Honda stage. Three days of that and then I can come home to breathe for a few minutes…. Then all the rest of our new gear arrives to be tagged, labeled, sorted, and cataloged. Which will amount to oh, enough to properly fill a stadium and then some. Time to get that cloning thing figured out. 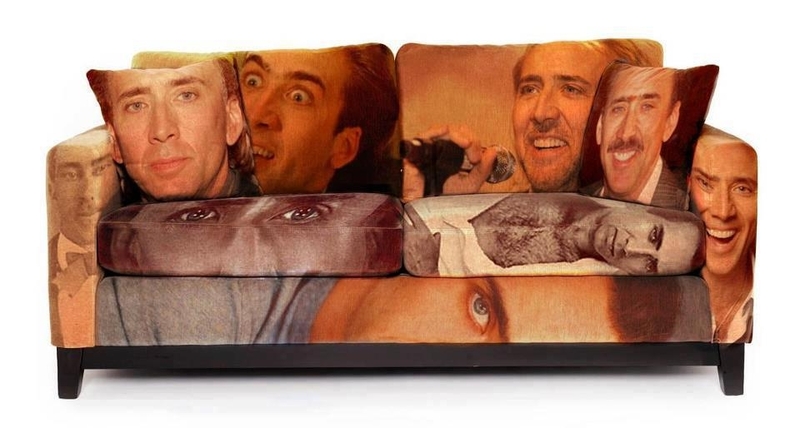 Until then, feast your eyes on the weirdest couch ever…. This entry was posted in Blog, Concert, Funny, Work and tagged ACL, blog, Buzzfest, Nick Cage, work. Bookmark the permalink.